A karambit is a unique, multi-purpose knife built for enhanced user precision, efficiency, and safety. It features an ergonomic handle, a hooked or curved blade, and often includes one or more safety rings. Although its design may vary a little depending on the exact geographic origin, karambit knives always feature an arcing blade. That offers user functionality way beyond what straight blades provide. Its design is traditionally based on the claw of a tiger. The razor-sharp blade is optimized for tearing, slicing, ripping, hooking, and maximum efficiency, but with minimal effort. Karambit knives are highly valued for its high retention degree, precise cuts, and suitability for almost every task or challenge. Who Should Consider Purchasing a Karambit? Why? For self-defense, users make use of the curve’s ability to easily change the movement direction, swiftly attack and counter. It allows for simultaneous striking from many, different lines of attack. Unlike straight blades, the karambit’s curved blade doesn’t stress the user’s wrist. That, in turn, creates a significant combative advantage. The user’s form stays structurally sound, without being compromised by any poor body mechanics. While few people don’t know about karambit knives, these tools aren’t new to the majority of us. In fact, they’ve existed for centuries now, originating from the Pacific countries of Indonesia and West Sumatra. Back in the 11th century, Philippines and Indonesians made use of these tools in their farms to maintain and clean livestock, rake roots, and prune leaves. As a result of Indonesia’s thriving trade, karambit knives began spreading throughout Southeast Asia. They also developed strong roots in Malaysia. Even today, karambit knives are a widely popular ‘pocketknife’ in remote Indonesian and Filipino regions. This knife’s concept has been interpreted on multiple occasions and re-imagined innumerable times. It has been used by almost everyone, from Pencak Silat practitioners to today’s law enforcement. Today, karambit knives are available in virtually all countries, where they’re mostly used as self-defense tools. Most of these have multiple cutting edges or surfaces, arranged in different configurations. They’re readily available in two distinct options: fixed and folding. Each variation offers unique benefits for tactical and/or utility use. Karambits are a worthwhile option for anyone seeking wide-range functionality from a knife. 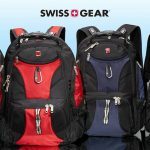 It’s especially recommended for hunters, backpackers, rock climbers, law enforcement groups, and peacekeeping officials. It’d also be excellent gear for spelunkers, field operatives, preppers, martial artists, search and rescue groups, as well as first responders. Still, others who’d certainly enjoy this knife’s benefits include carpenters, plumbers, and construction workers, among other utility workers. Karambit knives don’t just enable one to access tight areas. They also provide safety and stability at weird angles, in high-stress situations, and in cramped spaces. In addition to serving as a weapon, you can utilize them as a tool for nearly any chore that requires a blade. Owning a karambit implies that you’ll need to carry just one knife, rather than carrying multiple blades to be well prepared for any potential situational possibility. Although karambit knives are significantly popular and readily available nearly everywhere, experts strongly advise against heading to a marketplace and choosing just any model. It’d only be wise to tread softly and research, beforehand. You wouldn’t want to end with an unreliable, poor quality karambit knife, right? There’s an enormous collection of karambit models on the market. As such, doing the necessary research and trying to settle on one particular model can prove to be quite a daunting task. Fortunately, you need not spend your precious time checking out every knife available on the market. Below, we take a glance at the 5 key factors you ought to consider when purchasing a karambit knife. With these in mind, you’ll have an easy time determining which model will suit your preferences and meet your needs. The right kind of karambit blade is one which suits your preferences best. A person will have different needs from those of another. A blade that’s ideal for a particular situation might not suit another situation. Generally, a fixed-blade karambit tends to offer superior strength and reliability since it doesn’t have moving parts. However, you might find such challenging to carry or conceal. The folding kind, on the other hand, closely adopts the Western ‘pocketknife’. However, such might not offer the sturdiness or assured safety needed for some applications. You should consider sticking to the traditional karambit design (sharply curved and fixed blade) if you’re seeking more functionality and enhanced utility. But, bear in mind there’s no ‘one-size-fits-all’ karambit knife. You ought to first define the exact purpose(s) you want the knife to fulfill. You can then look into the variations available to settle on one which suits your needs/preferences best. Looking at the different karambit knives available on the market, it’s clear that they differ in blade lengths. You’ll come across models whose blades are a whopping 7.5 inches long. You’ll also find others with small blades, measuring around 2-3 inches long. Sure, the differences may be only a few inches. But, eventually, the lengths of blades can make a big difference. These knives’ edges are usually classified into different categories according to their lengths, namely short, medium, and long. A key advantage of short-blade karambit models is that they’re legal in nearly all countries. Most knife laws accept knives whose blade lengths don’t exceed 3 inches. In turn, you can be confident you won’t end up on the wrong side. However, models with long blades are usually stronger and more versatile than those with short blades. In some cases, karambit knives with short blades tend to disappoint under continuous and extreme use. Medium blades refer to those ranging from 3 to 4 inches. 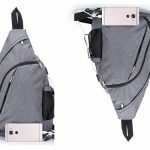 An upside to these designs is that they’re small and compact enough for enhanced portability. Additionally, they’re often long enough to handle several strenuous chores. However, some laws prohibit owning karambit knives whose blade lengths exceed 3 inches. These refer to blades whose lengths measure over 4 inches. They’re mostly built for self-defense. They’re more intimidating than the short ones, as well. However, karambit knives with long blades are usually bulky. Such dimensions can make it more burdensome to use these knives. Besides, it can be incredibly difficult to make them discreet, especially if they don’t meet the set law requirements in some regions. When it comes down to selecting the best karambit knife most people focus solely on the blade’s sharpness. But, there are several other vital qualities you ought to focus on, as well. Such include the material(s) employed in the construction of the knife’s handle. With a premium quality handle, your grip will stay tight on the knife. However, bear in mind that each blade material will have its upsides and downsides. Ideally, you should opt for a material(s) which has numerous advantages and a few disadvantages. Aluminum and stainless steel are excellent choices for the handle, especially due to their lightweight and durable nature. Rubber handles are a favorite for many people, too, credit to the unmatched ergonomic performance they offer. Safety rings have morphed into an essential requirement in the modern karambit design. They’re usually positioned at the handle’s end. You can insert your finger into the safety ring before closing your hand on the handle. You’ll also come across models which have a secondary ring on the handle’s shaft, just right below the blade. This feature is incorporated to ensure that the knife doesn’t slide back through your hand, especially when using it at difficult tasks, in a specialized environment (like underwater), and at odd angles. Ensure the model you intend to purchase has a safety ring(s). That guarantees a firm hold in nearly all conditions and even through unexpected stressors. Additionally, you’ll be able to depend on the design of the blade for unparalleled weapon retention rather than relying on grip strength only. Price is always an essential factor worth considering, not just for karambit knives, but also for all other products. It’s up to you to define the specific amount of money you’re willing to spend. Thankfully, the prices of karambit knives available on the market are usually set in an affordable range. As such, you shouldn’t have an excuse for not getting the ideal model. Most manufacturers determine the prices by taking the performance and features provided by each knife into account. However, that doesn’t imply that the costliest models offer the best performance. Still, you shouldn’t settle on a particular karambit knife just because it’s unbelievably cheap. We recommend that you take all the time you’ve at your disposal to compare the value offered by the different models. Weigh the different prices. In turn, you’ll be likelier to get excellent value for your cash upon making the purchase. Don’t rush to purchase a karambit knife just because their concept and functionality thrill you. You’ll be surprised by the rewards you’ll get for the time and effort you invest in intensive research, reading reviews, and comparing the value offered by each model. You’re even luckier since we’ve tackled the cumbersome and challenging part for you. Below, we review the 8 best karambit knives currently available on the market. We’ve arrived at these models after intensive research, hands-on testing, and taking other users’ experiences into account. The reviews are broken into two different categories, namely folding and fixed blade karambit knives. Folding karambit designs are often the best options for everyday carry. They’re an exceptional combination of sturdy grip cutting action and blades which are as simple to conceal in the pocket as they are to open up. A folding karambit will fit snugly in the pocket until when needed. It can also be deployed rapidly. Regardless of whether you’re looking to keep a karambit for protection or you just love the style and intends to have one in your collection, the folding models reviewed below are highly likely to match your specific needs. Emerson is currently among the leading knife makers. Their remarkable popularity can be attributed to their innovative and reliable offerings. 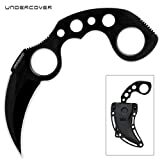 Among such is this popular Folding Karambit, which outdoes most other models from rival brands. They offer two different, but excellent versions of this knife: Super (BT) and Combat (CF). You can open the former in two distinct ways. Firstly, you can make use of the thumb disc, which is positioned along the blade’s back side. Secondly, you can utilize the innovative Emerson Wave, which is characteristic of most folders made by Emerson. When taking this Karambit out of the pocket, the Wave will stick behind your pocket’s edge and, hence, automatically open the tool. The BT version features a G10 handle, which provides a sturdy grip. The titanium liners help keep the knife’s weight low. The Emerson Combat Karambit, sporting a 2.6-inch long blade, is ergonomically built to endure the harshest conditions. You can deploy its chisel grind blade in either a forward or reverse grip. The grip feels much secure and snug. This blade, coated with a black Teflon, folds out of the 4.6-inch long handle, along with a glass laminate which connects to a 1-inch diameter finger hole. Additionally, the lockup is conveniently centered and rock solid. This Karambit is available in two different color options: Black and Stone Wash.
Emerson is a reputable and well-established knife-maker in the EDC arena. Almost all of their attempts at karambit knives have been welcomed with much appreciation. Their Super and Combat Folding Karambits are no exception. Many users have been praising these folders’ lightweight nature. They employ a unique blade design, vastly different from your average everyday carry blade (EDC). While you can still use this model for various utility tasks, it’s primarily intended to serve as a defensive weapon. The Emerson SF and CF Karambits are truly amazing and well worth their prices. These lead the pack quality- and design- wise. 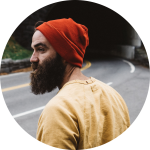 They’re worth considering if you’re seeking a ‘real’ deal that will rarely disappoint you. The C170GP was conceived and built by Spyderco, a famous Colorado-based knife-maker. 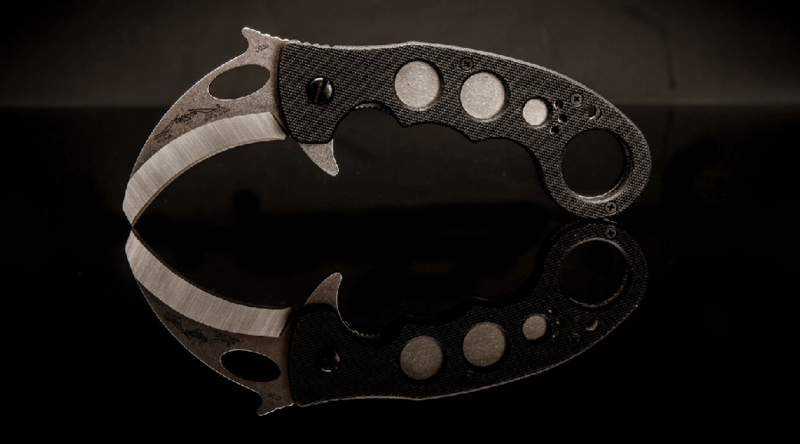 It’s an evolved, folding model of the appealing Southeast Asian karambit. It boasts a gently curved blade that has been precision-machined from VG-10 steel. Besides, it features a convenient Emerson opening mechanism and a Spyderco Trademark round hole. Both help ensure swift blade deployment. You’re definite to appreciate the well-built handle, constructed out of stainless steel liners and capped with impressive, textured G-10 scales. This handle has a ring which helps facilitate both traditional and advanced karambit manipulation techniques. The improved ring comes reinforced with a G-10 insert. The edges are polished and radiused to allow for high-speed manipulation. It’s supported by a sturdy back lock mechanism that’s specially designed to endure the stresses brought about by defensive use. It’s also conveniently sized, hence making the knife amazingly compact and simple to carry. The Spyderco C170GP has become a favorite for many users, especially because of the incorporation of the reversible hourglass clip. This feature supports tip-up standard- and reverse- grip carry on both of the knife’s sides. As with virtually all Spyderco’s knives, the C170GP’s build quality is undoubtedly impeccable. Its stainless steel blade is razor-sharp and durable. When compared to most other karambit models available on the market, this knife is a much lighter and stealthier option. This model lives up to its lofty reputation. It stands out as an excellent dual-purpose option. It works equally great for both every-day-carry (EDC) and defense. Aside from that, you’re assured of prompt support in case of any relevant concern, credit to the dedicated service team put in place by the brand. With the Spyderco C170GP, you can be confident you’ll be making a purchase that will meet or exceed your expectations. The Cold Steel’s tiger claw is widely regarded to as an ideal representation of the future folding karambit. This exciting model, created by Andrew Demko, a celebrated custom knife-maker, presents a multi-functional folder that just overflows with outstanding design innovations. Andrew constructed a karambit blade which served him fully through multiple years of tough use. Sometime later, Cold Steel tasked him to develop his version of a folding karambit. Replicating his original blade design, the Cold Steel 22K came to be, with premium XHP steel. This model offers just the slashing performance and tactical cutting of the Indonesian and Filipino karambit, but now with the function and utility of a man’s hawkbill. The Cold Steel 22K offers a fully ambidextrous, super-quick draw from a pocket, either in a traditional, karambit blade-down grip or a saber grip. The blade is deployed with lightning-fast ease. Andrew’s karambit features a slim, CNC-machined, G10 handle, Cold Steel’s proprietary tri-ad locking system, and an aluminum ring (matte black finish). The one-handed forward-release opening mechanism makes it a breeze to fold the Cold Steel 22K up and down, regardless of how you’ll carry or deploy the blade. If you take a closer look at both the upsides and downsides to using the Cold Steel 22K, you’d indeed acknowledge that there’s a commendable deal of positive attributes. Its pros certainly make up for the few cons. The karambit package comes complete with multiple capabilities that make it an excellent karambit. It offers a commendable bunch of high-end features for the price. These include impeccable overall quality, a sturdy feel, and an alluring look. The brand has put this knife to extreme tests, which it effortlessly endures. Besides, the 22K Karambit comes accompanied by an exceptional lifetime warranty. You’ll definitely want to consider this model if you’re pursuing a serious, proven folder for self-defense. S&W is among the most recognizable brands across the globe. And, that can be backed by multiple, good reasons. For instance, a significant number of police departments in the U.S. rely on this brand for firearms and accessories. They have been developing outstanding crime-fighting tools for over 100 years now. Most of these have eventually ended setting the standard for this field. Case in point, the S&W Extreme Ops CK33 Karambit is among their most praised releases. 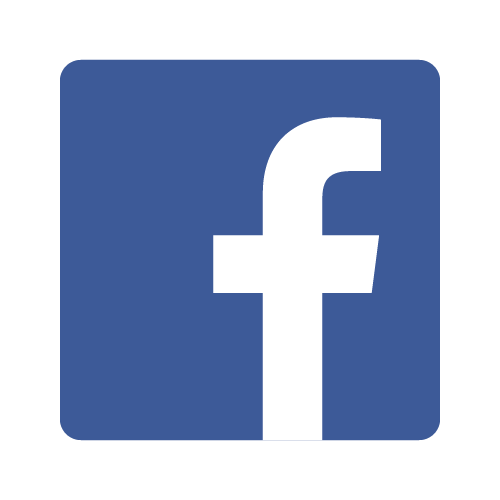 This tool proved that the brand would continue to grow and flourish. It’s a pocketknife you’d undoubtedly want to take with you for the ultimate urban exploration, camping, or hunting trip. It provides a feeling of security that most other models on the market can’t beat. This folder, with a 3.0-inch long blade, has been specially built to serve as a reliable, all-around knife. Its clip is conveniently and securely attached. Besides, it comes packed with worthy bonuses, including a bead-blast finish on its blade and a chisel grind. The Extreme Ops features a karambit’s claw-like design, thus enabling you to hold it firmly in different grips. The fantastic stainless steel finger-guard at the handle’s bottom allows for an extra stable grip. As such, someone else will find it almost impossible to disarm your pocketknife when using it in self-defense. In addition to that, the handle comes with a black G-10 overlay. That allows for a more comfortable and stable grip, even if you’re not using the incorporated finger-guard. You can customize the CK33 as you desire. An adjustable pocket clip comes along with the knife itself. It’ll enable you to carry your pocketknife tip down or tip up. Additionally, an ambidextrous thumb stud will make it incredibly simple to use with your left or right hand. Perhaps, you’re aware of how difficult it is to get a reliably solid piece in a folding blade. The S&W CK33 is among the few options offering precisely that. It has a stylish, yet ergonomic G-10 handle, making it pleasurable to try the grips both ways. Such are among the features which render this model ideal for self-defense and other miscellaneous work. It’s undoubtedly an impressive pocketknife for the price. It surpasses most other similar models in multiple aspects, including overall functionality, grip comfort, and blade quality. We highly recommend the S&W Extreme Ops CK33 for those who’re seeking a serious karambit knife. It’d be a worthy option for edged weapon enthusiasts, too. You can go ahead and confidently make that purchase. You can barely go wrong with a brand like Smith & Wesson. Fixed blade karambit models are generally recommended for beginners. In addition to offering the most reliability, this kind boasts a broad range of uses. With a fixed blade karambit knife, you won’t need to worry about any moving parts. New users can take advantage of this opportunity to focus on and familiarize themselves with the blade’s use, function, and balance. You won’t have to worry about getting cut while folding a blade up and down. Below, we take a look at the best fixed-blade karambit knives currently available on the market. Masalong is headquartered in China. They have been selling in the Amazon U.S.A. marketplace for over two decades, now. The brand specializes in selling a broad range of products, including quality karambit blades. It’s clear that Masalong takes much pride in what they do. The Olecranon Claw Karambit, in particular, comprises the special VG-10 Japan steel edge and a carbon fiber handle. The latter, unlike most other carbon fiber applications, is epoxy-layered. Although it doesn’t have the standard ‘cross-hatch’ pattern, the knife still stands out as a top-notch, favorite option for a karambit. The handle boasts an ergonomic design which will suit your hands well. Its blade is appealing and deceptively light. Besides, you’ll love how easy it is to open the Olecranon Claw Karambit. The ring is moderately large to eliminate the chances of exerting bad leverage on either the pinky or index finger during use. The included paracord bracelet makes up for no-frills packaging. This package comes complete with a survival bracelet, sheath, and the Masalong Tactical Knife itself. Many users have been praising this knife’s excellent shape and sharp blade. It offers a commendable deal of capabilities. The Masalong Olecranon Tactical Karambit will definitely fit the profile of whatever you need. It’s a worthy choice for anyone, especially those who’re seeking a reliable and durable karambit but are on a tight budget. United Cutlery has constructed the UC1466B Karambit Knife from a solid, 420 stainless steel piece. It feels relatively durable. Both the handle and the blade are constructed out of stainless steel. That’s accompanied by generously sized finger holes which provide an excellent grip, regardless of whether the blade is held extending from the hand’s top point or down from the user’s fist. The knife’s retention rings are big enough to use with your gloves, making the grip even more comfortable. You’re definite to love the double-edged blade, as well. It’s unbelievably quick to draw once you’ve broke in the sheath. Aside from that, the manufacturer incorporates an ABS sheath that’s conveniently impact-resistant. The UC1466B is popularly acknowledged as a great karambit to begin learning basic movements. In fact, you’d be hard-pressed to get such quality at this price range. It’s inarguably clear that the pros far outweigh the cons. In fact, the drawbacks noted so far are quite simple to fix, without needing any consultation or professional help. For instance, you can easily fix the flimsy belt clip by replacing it with a paracord to achieve an excellent grip. Almost everything else about the United Cutlery UC1466B will amaze you, including the solid feel, weight, and look. Additionally, it’s suitably balanced, making it much simpler to maneuver with. Overall, It’d be a worthy addition to your gear. The Tactical Karambit, measuring 7.5 inches long, stands out as an ideal option for combative or defense purposes. It has been receiving innumerable, positive customer ratings and high ratings. That’s mostly attributed to the blade’s sharpness and cutting-edge performance. It features a 4-inch single-sided blade which is connected to an impressively ergonomic handle with a sturdy rubber construction. In turn, that assures you of a non-slip grip. As with most other karambit knives, the Vulcan Gear Tactical model incorporates a safety ring right at the handle’s base. You can make use of this ring as a glass breaker, particularly in emergency situations. Aside from that, this knife comes along with a sheath which slides over it seamlessly. The inclusion of a nylon cord makes it conveniently possible to hang the knife around your neck, hence allowing for easy concealing. Vulcan has been making tactical knives for over 30 years now. That makes them an authority in the market. They make top-quality, high-end knives which are accompanied by affordable pricing. The Vulcan Gear Tactical Knife, for instance, is among the highest-rated models they’ve produced, so far. It’s best suited for tactical training. But, it’ll still perform great as a utility tool when sharpened. Its blade and overall lengths provide a decent cutting area. 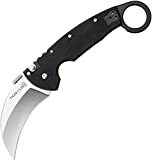 It’s a favorite for quite a significant number of users who recommend it for those that intend to purchase a karambit knife. This model is a purchase you’ll never regret, especially if you’re seeking a simple, combative model. The SE KFD359 is among the most affordable items featured in this guide. Still, it’s among the best karambit knives available on the market. Although it has a relatively lightweight construction, this knife still fees well-balanced. It comprises a blade that has been constructed out of 440 stainless steel. That gives it the ability to slash through multiple, various things. Besides, the steel build assures you of the unit’s durability. This knife features an ABS-Plastic handle that’s designed with grooves. In turn, these will help maximize comfort for your fingers. At the handle’s end, you’ll note a steel loop pommel. That has been included for enhanced retention and flailing. The SE KFD359 also incorporates an appealing necklace sheath, which you’ll find extremely handy for hassle-free storage. It also makes it incredibly simple to access whenever you want to use it. Sure, you can make use of the SE KFD359 for multiple purposes. But, its length, excellent blade material, and impeccable design render it a fantastic choice option for rescue operators, survivalists, and martial arts training. It has been proven to perform amazingly well when cutting various materials and for defense. Additionally, its affordable price tag makes it among the perfect choices for those seeking a high-end quality karambit but are on a tight budget. Unfortunately, most people barely consider the brands which manufacture karambit knives. In fact, it’s just as important as other factors discussed above. Learning about the leading brands and considering their products’ quality would be a rewarding step. With leading, reputable, and well-established brands, the chances are that you’ll get just the knife you’ve been seeking. Some manufacturers are very friendly, with a significant number of them offering warranty and guarantee packages. Such assure you of their knives’ reliability and durability. 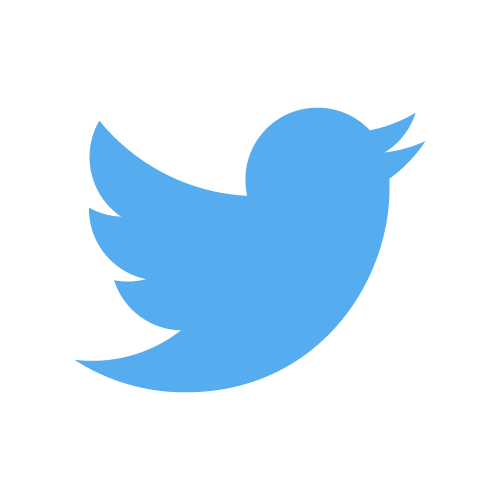 However, you might come across unfriendly brands that simply won’t attend to any of your concerns. Karambits are a beautiful, but lethal kind of knives. And, purchasing from well-known brands which boast vast experience in manufacturing karambit knives would be preferable to taking chances with newer, less experienced knife-makers. Make use of this guide as the ultimate reference point in your pursuit of the best karambit knife. If possible, read through it guide again to get a better glimpse of the key factors worth considering. Compare what each of the different karambit models discussed above offers. Look into their features and capabilities. Determine the actual value each model offers for the price. Arm yourself with all of the above information. In turn, you can be confident that you’ll land a top-quality karambit knife that’s right for you. Last, but not least, you ought to check your state’s laws and regulations on owning/possessing karambit knives. Most states and countries treat them as weapons. Have the set regulations in your mind before purchasing any model. Good luck!